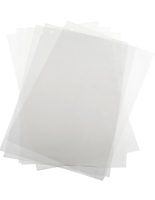 Kit Inculdes: 6 Sheets of Film, 4 Standoffs, & 2 Acrylic Panels. 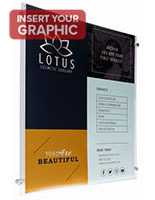 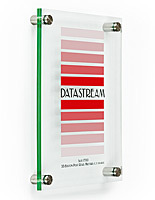 Displays are Reusable Becuase of Extra Film That is Provided. 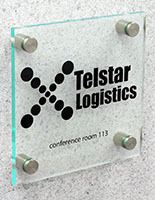 Edges of Plastic Panels are Green to Give Them High-Class Look. 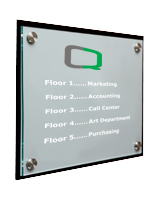 The changeable office signs are attached to doors or walls so that visitors are able to find their way easily around. 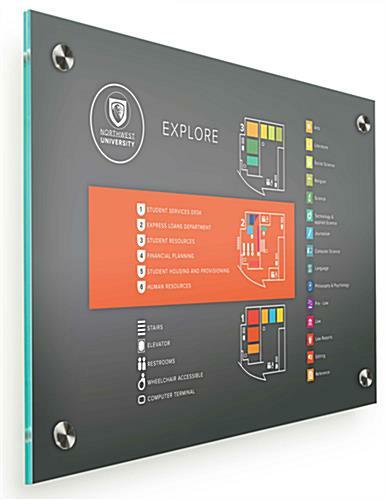 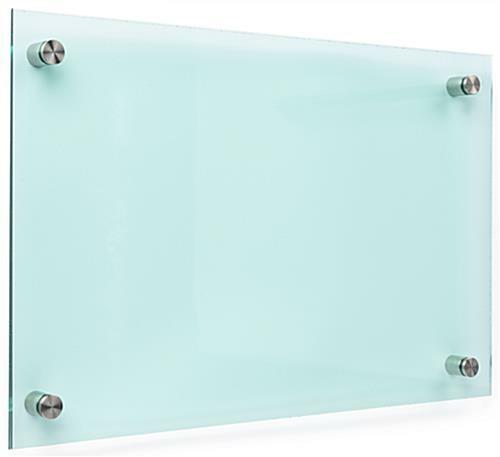 Interior layouts, sale messages, and conference room listings are all ideally placed inside these plastic boards to help clients and customers. 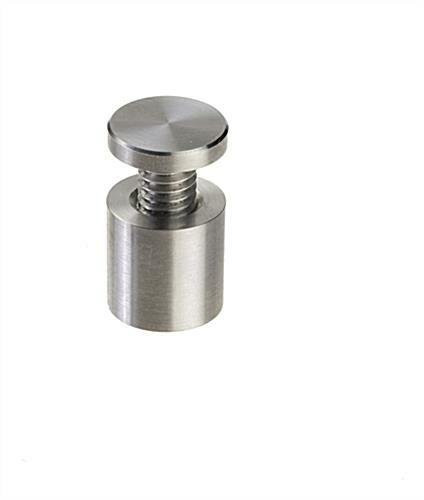 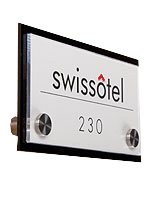 This office sign that uses 4 stainless steel standoffs to attach to surfaces are durable and stylish ways to mount interior signage. 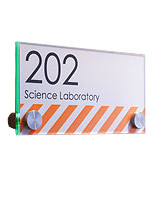 The message displays are do-it-yourself kits that come with hanging hardware, plastic boards, and 6 sheets of special film, 3 frosted and 3 plain, which can create eye-catching signs when used with a laser printer. 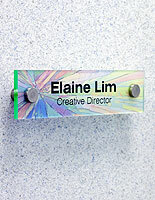 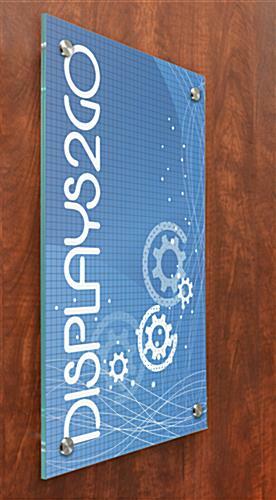 Office sign templates can be set up using Illustrator and Photoshop and then printed out. 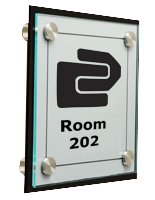 These 11"x 17" signage displays are of use displaying the names of conference rooms, or emergency exit directions for customers.